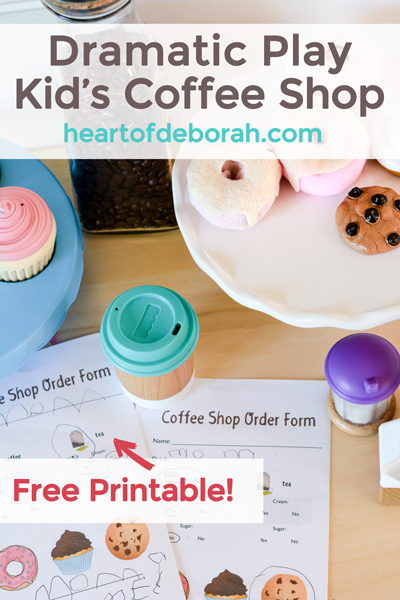 The BEST Dramatic Play Coffee Shop for Kids | Free Printables! 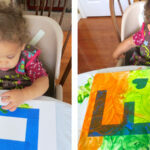 Pretend play is a preschooler’s dream! Each month this year I am sharing a new fun dramatic play center for preschoolers. 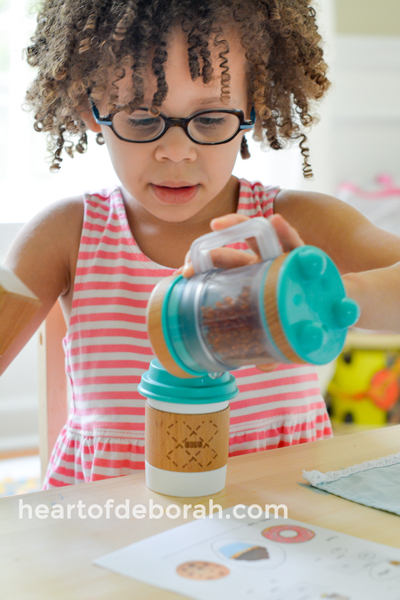 This month we are sharing our favorite dramatic play coffee shop. 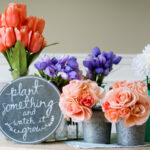 See our whimsical floral shop from April! Make sure you download and print the free open/closed sign and coffee shop order form at the end of the post. Before you open your shop, gather your supplies. We had a lot of the kitchen accessories already. So I tried to gather all the cups, mugs and desserts that went with a coffee shop theme. 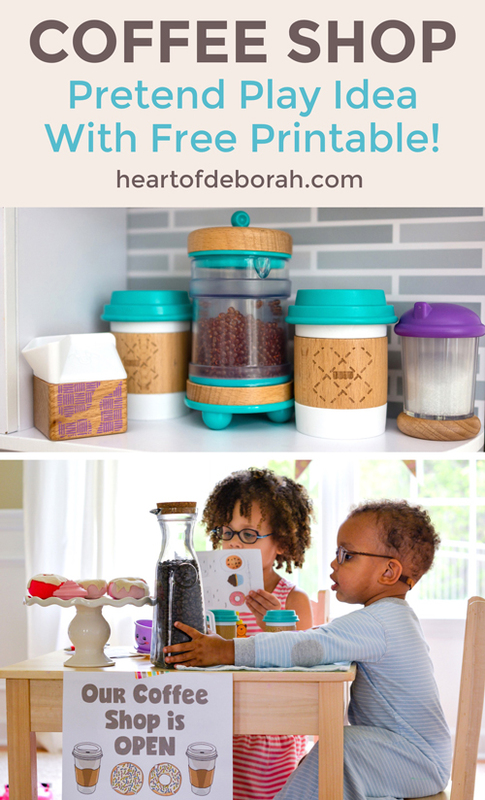 We love this barista coffee set for our favorite coffee drinks! 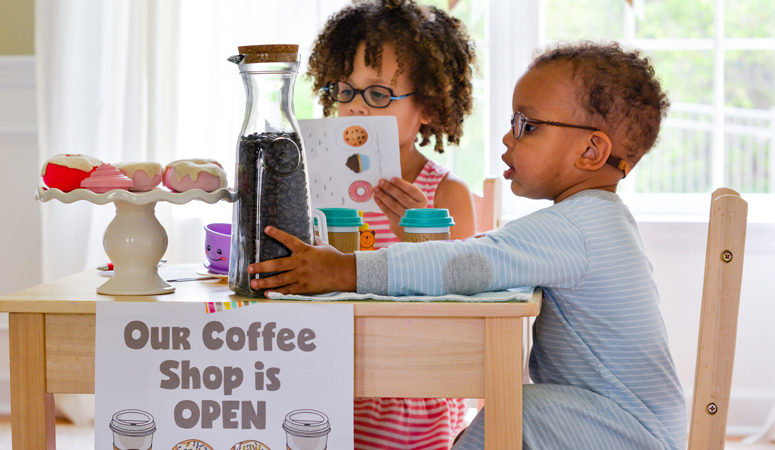 You don’t necessarily need a play kitchen to set up your coffee shop. We used our wooden kid’s table and a ledge in our family room to set up shop. Again, it can be as simple or complex as you’d like. Kids don’t need anything fancy to enjoy pretend play. 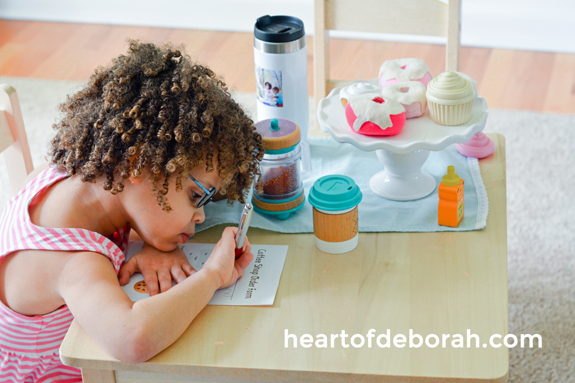 Our daughter loves taking our order using this free printable order form. Then she makes our coffee or tea. She loves using her cash register to ring up our order. After I showed her how to take orders, she was able to play by herself. Moms know how nice it is to have an activity where kids can play by themselves! Also Kids LOVE repetition. Our daughter will take our order over and over again. Leave your coffee shop open for a few weeks. Your kids will love opening shop each day. When they get sick of it, pack it up and save it for later. Rotating toys is a great way to fight off boredom. Finally, be sure to download our coffee shop freebies below! Please note the order form includes two sides. You can fold it or cut it so you have two forms on one sheet of paper. Feel free to print multiple copies! 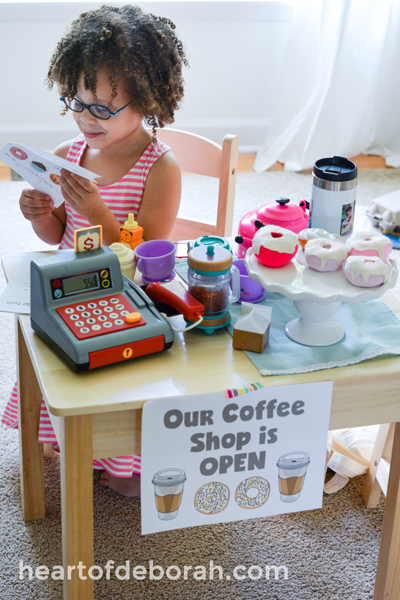 Have you ever set up a dramatic play coffee shop? I’d love to hear how you explore pretend play in the comments below!